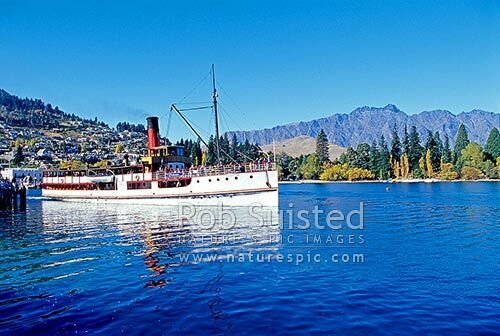 TSS Earnslaw - historic steamship on Lake Wakatipu, leaving at Queenstown. Since 1912. The Remarkables Mountains behind, Queenstown, Queenstown Lakes District, Otago Region, New Zealand (NZ), stock photo.